G-B touris­m minist­er says govt going all out to make the annual gala a memora­ble event. 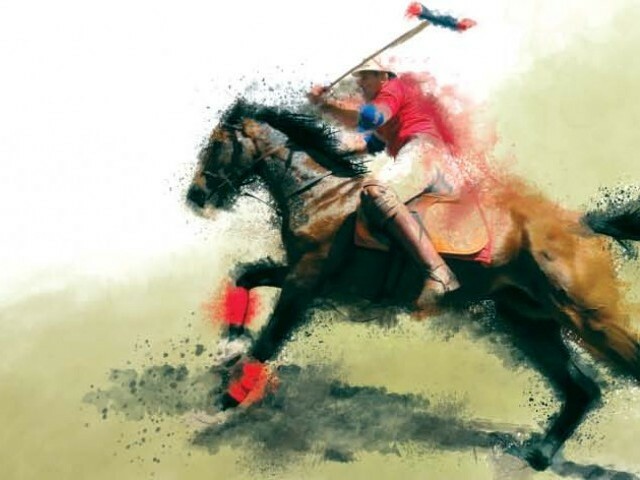 The celebrated Shandur Polo Festival is set to start from June 20 with arch-rivals Gilgit and Chitral preparing for their annual showdown 12,000 feet above the sea at the highest polo ground in the world. The festival, thronged by thousands of locals and tourists, was cancelled last year as heavy rains damaged major roads linking Shandur to the rest of the region. “The dates for the festival have been confirmed and we are looking forward to it,” said Gilgit-Baltistan’s (G-B) tourism and culture minister, Sadia Danish, on Thursday. “All possible steps are being taken to make the event a success and worth remembering for all visitors,” she told The Express Tribune. The minister, who is also head of the festival’s steering committee, hoped the event would help project a soft image of G-B, which was tarnished last year when 10 foreign tourists and their local guide were shot dead in a ghastly attack at the base of Nanga Parbat. The so-called ‘game of kings’ is played between Gilgit and Chitral every year and witnessed by sports and travel enthusiasts, both local and foreign. In Shandur, the game is played under the ancient rules that governed it when it was first invented by the Persians and later adopted by the British, with a complete duration of an hour separated by a 10-minute break. The tournament was initiated in G-B by Colonel Evelyn Hey Cobb, a British political agent in the area in the 1930s, who was a keen polo player himself. It has morphed into an annual event since then and is a major tourist attraction for the region. The three-day festival, now an integral part of the culture of Chitral and Gilgit, is not just about polo – other events include tug of war, paragliding and various other sporting competitions. A camping village is also set up next to the polo ground for visitors to have a memorable experience. In 2010, Gilgit boycotted the event in protest against the federal government’s decision to assign the management and organisaton of the event to Khyber-Pakthunkhwa (K-P) and over a dispute as to which government has ownership rights over Shandur, which lies between G-B’s Ghizer Valley and Chitral. In 2011, the boycott was reluctantly ended and Gilgit won the tournament 7-4. However, the following year, Chitral reclaimed the title in a 10-5 victory. The governments of G-B and K-P hold the event together, with the government in Gilgit allocating approximately Rs6 to Rs7 million for the festival against K-P government’s allocation of over Rs22 million. Published in The Express Tribune, June 6th, 2014. ‘Khyber Pakhtunkhwa Facets’ published after lull of two years. The public will be allowed to come up with a slogan for the campaign. How the decline of the royal families marked an end to a cultural epoch in Gilgit-Baltistan. In recent years this festival has been a mess – and not just because of the ridiculous attempts by the KP bureaucrats to seize control of what should be managed with the hands-on involvement of the representatives and polo associations of Gilgit and Chitral. Rather, and worst of all, the event has become a vulgar mela with garish advertising hoardings for telecom companies and soft drinks every where which totally ruins the natural beauty of the Shandur Pass. I went 15 years ago and this was an intimate event where the villagers felt they had a stake in and ownership of the event. However, when I went again in 2012, there was nothing but protocol for bureaucrats and ministers, rude security officials and the villagers were kept far away from the sport and the action. Even the commentators were more interested in singing the praises of the government officials rather than commenting on the game and the players. The trash and advertising hoardings were horrendous. I hope the PTI government will show more good taste and less “afsar-shahi” this time around. It’s well known that polo went royal as a game of kings under the able auspices of QutbudDin Aibak, and the last I checked, he wasn’t Persian. Please do not rely on Wikipedia for your facts gathering. The British came in 800 years later after the game had been well established by Turko Afghan emperors. And I entirely agree with Shazia Bangash’s post.